Would you rather be fit or rich? Every time a new splatfest for Splatoon is announced, the topic of the battle is always something interesting. Some highlights thus far have been Autobots and Decepticons, Love and Money, and whether or not pineapple should be on pizza. While it seems like the least popular team is always the one that manages to eke out the overall victory, it's nonetheless fascinating to see the numbers at the end of each of these competitions. What do you think? Which team will you be for? What's your best idea for a potential theme? Drop us a comment in the section below. Riches for sure, muscles are overrated. What kind of power do you want? Is how I see it. I thought that it was asking about the new year's resolution if you see the announcement in game. I need the exercise more than getting money, so I'll go with Team Fit. This'll be a very rare occurrence where I'll be on Callie's team. Even though I'm American, my vote would be for Team Rich. Honestly, I would probably be repulsed if I were ripped. I prefer keeping my slightly pudgy belly, thank you. Plus, I'm always fantasizing about being a wealthy entrepreneur with billions of dollars to my name, so riches it is! Think of it the other way around: Would you rather be poor or out-of-shape? Here's me, I'm fit as ****, so I'm going for rich!! Ehh neither, work for both my friends. If it was health vs being rich, I'd definitely have chosen health. But with being fit vs being rich, I think I'll go with being rich instead, since I don't really care about being muscular or anything like that. It would be awesome if like 95% would go with rich. What is going on in their heads? They probably got some serious bashing with that crappy pizza and other awful stuff, but this is not even apples to oranges. Worst part is, it's boring. I know my ideas would not be funny or original (kicking in the nutz vs pay taxes), but Linkle vs Link looks amazing as concept. get rich, pay good money for a good fitness instructor. So now you're fit, and rich. Seriously, does NoA think kids are stupid? What a decision, you can be fit without no money but since we live in a material world..
You can be rich and not fit, but how long will you live or function to spend/enjoy it all ! 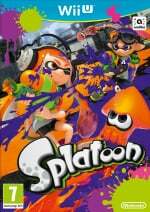 LOL did you really think EU's splatfest will take place on February? Anyway, we got a good one Europe! I need to get fit in 2016! @mistermorose Did you create this Nintendo Life account for the sole purpose of correcting the writer? Just curious, as I see you both joined NL and made this comment 3 hours ago. Although I guess that is a pretty bad mistake if you're right, so... good work, cadet. Yooooo I need them Squid Bucks! I saw this uber cute helmet and I'm strapped for cash. I gotta stop buying my swag from Spyke. Looks like N did not choose a good picture to represent "fit" judging by the several comments focusing on muscles. I wouldn't want to be ripped either, but being fit would be nice- I'm just too lazy to put the work into it. @Retr_acro Come on, not everything is NoA's fault. This is NoE. @Splatburst Ha, thanks for the heads up! I completely forgot that europe doesn't measure their days in murica units. In all seriousness, I think it makes much more sense to list dates in ascending fashion like that, but of course we insist on doing things differently here. I might have made that joke on the Splatoon forum already but still - we need more money ... (Tom & Jerry movie reference). Both of those things, though, are important to me and I can't choose one over the other. 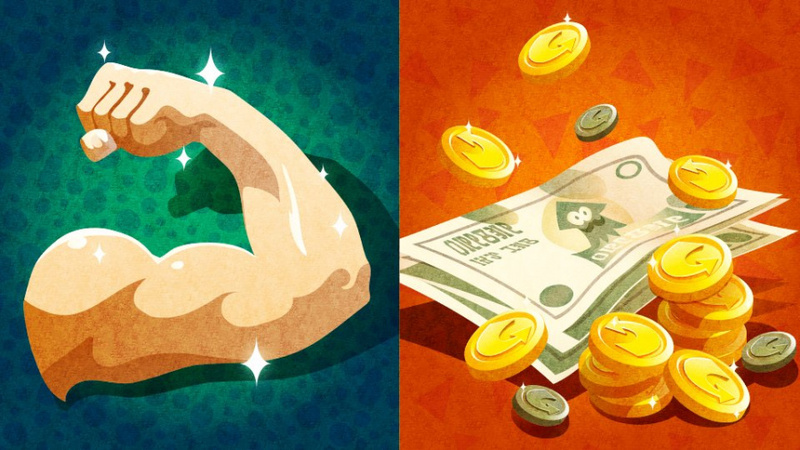 I may not need to be super rich but I don't need to be super-buff either. Like, a nice mixture of financial stability and fitness is the best I'd say. So I really have to go with Rich - because I like the color of the team. In the meantime, I shall wait for a Super Mario versus The Legend of Zelda theme. I'd go with riches, as long as I use it responsibly, and it doesn't go to my head. Though, the same can be said about being fit. It would be nice to be able to defend my loved ones if I was stronger, but the same can be said about finances. I'm personally more worried about going broke than getting mugged right now. EDIT: Ah, it doesn't matter anyway, because this is a European Splatfest. Good luck Team fit! You'll probably get the popular vote. It seems, I'm one those those few players, who yould like rather be fit than rich. I can't enjoy the money, if I'm not healthy or physically weak. If I'm rich I can pay to be fit. Classic. NOE: Cutting to the very core of the human psyche since July 4th 2015. The italian version has the same pictures but it says Sports vs Money. Studies show poor people are more likely to be obese. Money is the obvious choice. As @crimsontadpoles said if you watch the in-game intro, it's to get fit or to get rich as new year's resolution for 2016. If I was rich I could buy my own gym. Rich for me this time, come on the Rich!! I think they might mean fit as in healthy but they didn't say that so I'm going to choose being rich. If they did say health vs wealth then that would be an easy decision. I thought the Splatfest is on January 1st until January 2nd. See, I do think NOE has some cool splatfest themes - they're just a bit quirky. I like this one, and I had a laugh with "pineapple or no". Hey look, a decent European Splatfest! I'd probably go for rich, I get being fit is important, but why would I need it when my job and hobbies don't call for it? Fit, definitely.. rich people who aren't fit are miserable. Fit people are happy without being rich.. Neither, because I'm American so I don't have a say in this splatfest. That being said, obviously as an American I'd pick rich and pay a stunt double to be fit for me. American but I'd say money. If I'm rich I can work out more (because I'd work less). Probably the dumbest Splatfest so far. .....but it's all for good fun, so pick one and splat on.